1 A happy family member shows the latest picture of the missing boys taken by rescue divers inside Tham Luang cave when all members of children's football team and their coach were found alive at Khun Nam Nang Non Forest Park in the Mae Sai district of Chiang Rai province, northern Thailand. Twelve boys and their football coach trapped in a flooded cave for nine days were "found safe." 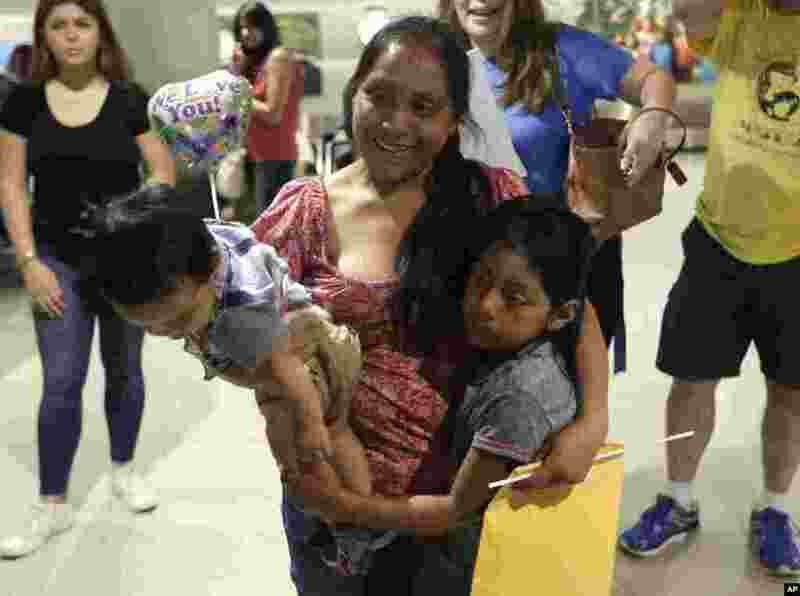 3 Buena Ventura Martin-Godinez, center, holds her son Pedro, left, as she is reunited with her daughter Janne, right, at Miami International Airport, July 1, 2018, in Miami, Florida. Martin crossed the border into the United States from Mexico in May with her son, fleeing violence in Guatemala. Her husband crossed two weeks later with their 7-year-old daughter Janne. All were caught by the Border Patrol, and were separated. Her daughter was released from a child welfare agency in Michigan. 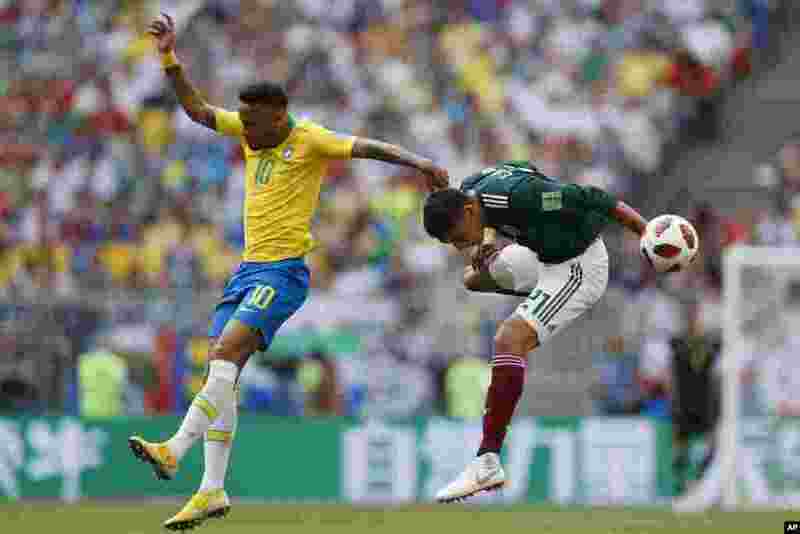 4 Brazil's Neymar, left, and Mexico's Edson Alvarez go for a header during their round of 16 match at the 2018 soccer World Cup in the Samara Arena, in Samara, Russia, July 2, 2018. 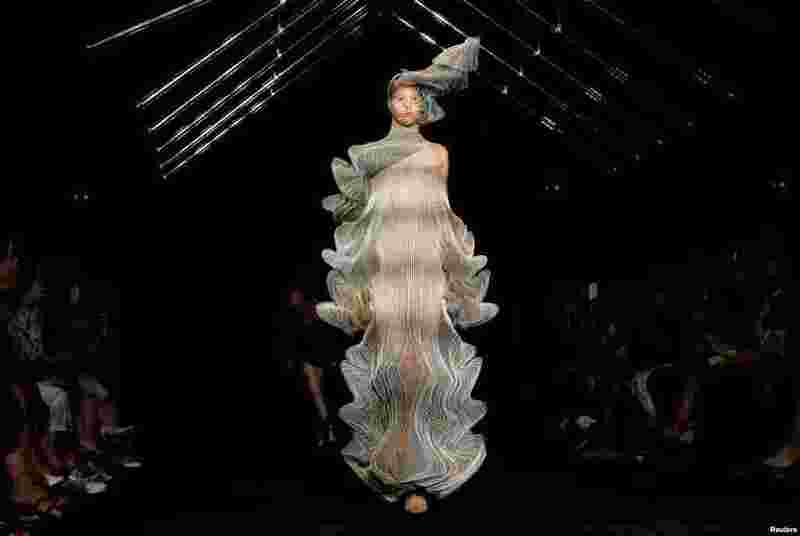 5 A model presents a creation by designer Iris Van Herpen as part of her Haute Couture Fall/Winter 2018/2019 collection show in Paris, France.